Merckx, known as 'the Cannibal', won five editions of the Tour de France, five of the Giro d'Italia, one of the Vuelta a España, three times the World Championships, and races like Paris-Nice, the Tour de Romandie, Milano-Sanremo, Paris Roubaix, Liege-Bastogne-Liege and the Giro di Lombardia several times. In addition to Merckx, Mathew Hayman and Jack Bauer, teammates of Chaves at Mitchelton-Scott, and George Bennett, Team Jumbo have confirmed their attendance. Likewise, Colombian Mariana Pajon, two-time BMX Olympic champion at the 2012 London Games and Rio 2016, as well as her husband and BMX cyclist, Vincent Pelluard, will participate too. Colombian climber Esteban Chaves has announced his return to the professional peloton with Mitchelton-Scott. His return to racing after an eight-month layoff due to Epstein-Barr Virus will come at the Vuelta a Valencia in February. Chaves hasn’t raced since May’s Giro d’Italia, where he won a stage and finished 72nd overall. Along with the news of his return comes the announcement of the Gran Fondo Esteban Chaves – a crowdfunding campaign or ‘race of life’ rather than a traditional bike race. For the campaign, the 2016 Il Lombardia winner has teamed up with the doctor who saved his career in 2013. Dr. Julio Sandoval treated Chaves after a devastating crash at the 2013 Trofeo Laigueglia, which saw him suffer multiple facial and skull fractures, a punctured lung, and severe nerve damage in his right arm. The pair created the Gran Fondo Esteban Chaves, which has an initial goal of $180,000 (£140,000), to raise money for vital surgeries for children and kick start the creation of a new specialist medical facility to help disadvantaged children. The race, which will be held to raise money for the foundation of the Colombian cyclist, does not yet have a defined date and place. 'In 2013 I was incredibly lucky to come across Dr. Sandoval after so many doctors told me my career was over,' added Chaves. Cycling royalty including Eddy Merckx, Annemiek van Vleuten, Paolo Bettini and various Mitchelton-Scott team members are involved in the campaign, as are a host of Colombian celebrities. Chaves, 28, came second in the 2016 Giro d'Italia and third in the Tour of Spain the same year. 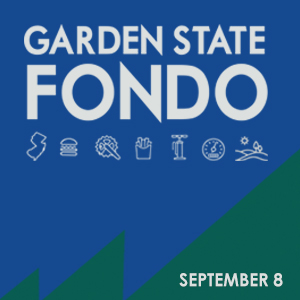 The date and location for the Gran Fondo is due to be released shortly.